They always say that looks don’t matter, but in all seriousness, nobody wants to be sporting little blisters on their lips. It is indeed needless to say that cold sores are embarrassing. They would most definitely cut and lower your confidence knowing that you have them on your face. However, cold sores do not affect our looks alone, they also bring up some alarming issues to our health. But you can worry no more! In this article, we will learn about the best essential oil for cold sores. These essential oils are known to be the masters of treating major depressing skin infections, cold sores, allergies, bites, and all the other common skin problems. We are also going to talk about the most common causes of cold sores. Just hang real tight and let’s find out what are these amazing essential oils for cold sores that may have been just sitting there on your medicine cabinet. 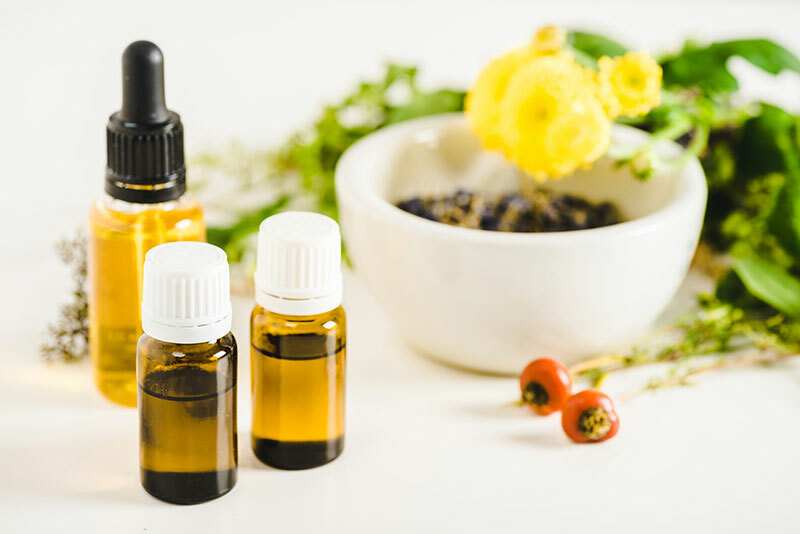 Before we narrow down a variety of most amazing essential oil for cold sores, we really do feel the need to best explain what are essential oils first. You might be wondering yourself where do they come from? Essential oils are concentrated oils extracted naturally from plants, leaves, flowers, barks of trees, fruits and the like. They were extracted through different processes such as distillation. These essential or natural oils have been curing diseases, had been used as a fragrance or other cosmetic purposes for the longest of time. Yup, we are talking about thousands of years, even during the old testament of the bible. Ancient people have discovered the amazing effects on the health, skin, wellness, and surroundings done by these essential oils. That even up to this time, modern people keep on discovering more and more natural sources of different essential oils. Today, if you are suffering from the worst feeling of having cold sores, get ready to find out what are the most amazing essential oils that you can use to treat cold sores. So, let’s get right into it. You might have heard it from a commercial on the TV or from your office mate or your mom, then, you shouldn’t be surprised. Tea tree is certainly one of the most known essential oil on the planet. And it really is one of the best essential oil for cold sores ever extracted. Tea tree oil is known for strengthening the immune system and cleansing. It also really works pretty well to protect you from any environmental dangers and of course, it is available to treat all skin irritations. All you have to do is to add a drop or two on the area that has cold sores. Have you heard of Melissa oil? We are definitely not referring to any brands here. Maybe you have not. But we are pretty sure that you have heard about lemon balm or lemon balm oil. Yes, that’s right, they are actually the same. Lemon balm (Melissa officinalis), is actually a very known cure for certain mental and physical health issues. From easing anxiety, depression, and mental block to curing skin allergies, dandruff, and mosquito bites–Lemon balm is a great essential oil. But, the most well-known ailment that the Melissa oil cures are cold sores. We guarantee that if you go to the nearest market, there are a lot of lemon essential oil for cold sores. And even other flavors of essential oils. Lip balm for cold sores that is lemon flavored is definitely, the most sought after, though. Lemon balm essential oil for cold sores is not only used by many for cold sores alone. We have heard other people talk about lemon balm being an ideal use for bloating, vomiting, menstrual cramps and many more, too. Could you agree more that lemon balm essential oil is really worth it? It ain’t a typical drug store if there isn’t any lavender essential oil for cold sores being sold. Lavender oil is a magical oil for treating a gazillion amount of diseases and more health issues. It is known for treating hair loss, fighting insomnia, enhancing mental health and of course, for battling against cold sores. So, if you know someone who has been struggling from these types of experiences, lavender oil is the best gift you can give to them. Bergamot essential oil is known to address certain issues like dark and smelly underarms, skin dryness, and depression or anxiety. But what most people don’t know is that Bergamot is actually an amazing essential oil for cold sores. It is known to have an antibiotic substance which fights the causes of cold sores. What most people love about bergamot is the fragrance. You can literally notice that it has a mild fragrance, yet soft and soothing. So, it is tolerable for most people, especially for children. Next one on our list is the rosemary essential oil for cold sores. The rosemary oil functions as an awesome anti-bacterial. It is known for curing food poisoning, relieving spasms, curing diarrhea and curing other internal and external diseases. But here’s the game changer: it is really great because it has a 100% pure therapeutic grade that is why it is bragged to be safe for both internal and external usage. It would really blow your mind if you find out the many other incredible benefits that we can get from rosemary essential oil. In fact, one amazing fact about rosemary is that it helps improve your memory and thinking skills. The way we would recommend you use it is to have about 2 or three drops of rosemary essential oil, rub it on to your temples, the scalp, and the back of the neck. But really right on the temples is the great place to rub on essential oils directly on to your skin. Rosemary essential oil can also cure a variety of skin infections. And this includes the disgusting cold sores. The way you put on rosemary oil to your cold sores is just simply put few drops and gently tap it on to your cold sore area. Mixing rosemary essential oil for cold sore with other essential oils like coconut and peppermint is also a great and effective way to relieve the pain too. You can also use cotton or a cuticle bud to put on to your cold sore area. Number 6 on our list is definitely the amazing hyssop essential oil for cold sores. Hyssop essential oil is primarily used for wounds and cuts. But dropping a few drops of this onto your cold sores would definitely relieve your skin from suffering through it. It has a unique antiseptic property that enables it to treat any infection on the skin, especially if it is applied directly. Amazingly too, hyssop essential oil is a popular choice for people who are dealing with acne, warts and excessive dryness. Apply this directly on to your skin to heal you from cold sores. Do you know that hyssop essential oil can also cure rheumatism? Since hyssop oil improves and promotes circulation, it will help sicknesses connected with pure circulation, too. For example, rheumatism, joint diseases, gout, and swelling. And lastly on our list, we pick ginger essential oils. Scientists have found that ginger oil has a maximum level of components which can fight cold sores. Opposite from the spice of real gingers, ginger oil is actually very warm, soft and soothing to the skin. It is perfect for kids or for people who are intolerable for strong aroma or skin reactant ointments. Putting directly a few drops of ginger oil onto your cold sores would easily cure the area. In just a few days, your lips are so back into its normal shape. You are lucky if you haven’t heard about it yet. Cold sores, also known as fever blisters, are those tiny, little nasty blisters formed and shaped on your lips. These blisters are inflamed and give you a reasonable amount of pain. If you are experiencing this, surely you know what we are talking about. But what most people don’t know is that 40% of adults get cold sores repeatedly, somewhat on a regular basis. So, this is very common. And 90% of people get at least one cold sore in their lifetime. Until that area of a cold sore is scabbed or crusted, it is highly contagious. So, you want to be very careful if you have it right now! You don’t want people, or someone you love, to be drinking after you, kiss you, or do anything you exposed to your lips. One thing that you need to know about cold sores is that they are viral (type 1 herpes simplex virus). So, basically, any anti-bacterial thing won’t work on it. If there’s something you need to do to prevent it (or aid yourself from it), it is that you got to strengthen your immune system that kills that virus. In addition, using herbs or the mentioned essential oil for cold sores that are anti-viral in their benefit can really supplement your battle against this virus. So, now that you got yourself a little background check of this enemy that we got, let’s find out more about what causes them. Kissing is, we know, the most direct and common way to share viruses that cause cold sores. It is when the lips of another directly contact the lips of the one who has cold sores. So, no matter how much you love the person, might as well stay away from them if you have cold sores right now. That’s how you love them. Sharing cups or utensils for drinking and eating is a big NO if you have cold sores. Most people get affected by this virus just by this activity alone. The safest way to prevent yourself from having cold sores when it comes to infection through the sharing of cups is to sanitize each and every utensil you have at home. Sharing lipstick goes without saying. You have to be very careful not to share anyone’s personal stuff such as lipsticks or lip balms if you want to prevent yourself from cold sores or any other mouth diseases. Always remember that viruses love weak immune systems. If you have a weak immune system, your body cannot fight off viruses, especially the herpes simplex or complex virus. So, it is very important to eat all the nutritious food, never dehydrate yourself by drinking tons of water, and do exercise regularly. If someone is under a lot of emotional stress, it can really cause a virus to come out. It’s not just always about a virus, it can be any bacteria or fungi. If you are worn out and experiencing a great deal of emotional or even physical stress, that virus can easily overtake your body when it gets weak. So, cut activities that cause stresses in your life. And accumulate stuff that improves your health and your energy. We really hope that this article pretty much enlightens you about cold sores and its causes, and this article may help you through the different kinds of essential oils for cold sores. Always remember to stay fit and healthy, and stock these varieties of essential oils for cold sores. One famous question people often ask, which is important, health or wealth? But, seriously, how would you enjoy wealth without health?